As you look at the bags and bottles of cinnamon, you may wonder, "Where does cinnamon come from?" This ancient spice was once so precious that people went to war over it. History dates the use of cinnamon to over 4,000 years ago, but it's likely people have enjoyed cinnamon for even longer. Here's the history of this miraculous spice. 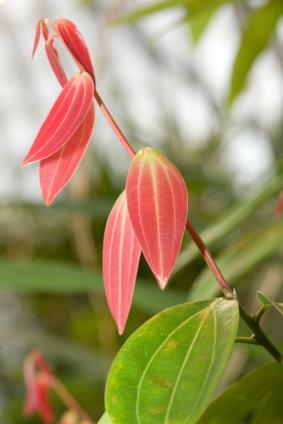 Cinnamon spice comes from the bark of the cinnamon tree, Cinnamomum zeylanicum, which is native to Sri Lanka (Ceylon). Today, cinnamon is grown in many tropical areas, including Java, Burma, Borneo and throughout South America. Most spices sold today as cinnamon are actually a mix of cinnamon and cassia, a relative of cinnamon that offers a stronger flavor more suitable for today's palate. The first mention of cinnamon is in Chinese documents dating from 2,800 B.C. The ancient Egyptians logged cinnamon as a spice used in the embalming process. Recent archaeological evidence also indicates that the Egyptians added cinnamon and other spice to their wine to create medicinal drinks to soothe coughing and other ailments. During the Roman era, historian and naturalist Pliny the Elder noted that cinnamon was about fifteen times more valuable than silver. Roman Emporer Nero had to burn a year's worth of cinnamon to demonstrate his contrition over the murder of his wife! These are just two examples to show how valuable the Ancients deemed cinnamon. If you thought arguments in the spice aisle over the last can of cinnamon were bad, consider that the Dutch actually went to war over the cinnamon supply in the 17th century. The Dutch fought the Portuguese for control of Ceylon, the island where most of the world's cinnamon at the time was grown and harvested. Later on, the seafaring Dutch sailed to India and discovered one of the country's hidden treasures-a large supply of cinnamon. They bribed a local king to destroy his entire grove of cinnamon trees just so that they could keep their monopoly on the precious spice and drive prices up. Later, the Dutch lost their monopoly over cinnamon when first France, then England, gained control over Ceylon and the supply of cinnamon. But as fate would have it, cinnamon was meant for the masses. In the 1800's, more supplies of cinnamon were discovered or planted among the Indonesian islands, and later cinnamon trees were successfully grown in South America. Cinnamon was no longer the elite spice of the rich. Today, the cinnamon found on the spice shelves may either be pure cinnamon or a mixture of cinnamon and cassia. Cassia comes from similar trees but has a stronger flavor. Many commercial companies mix true cinnamon with cassia to enhance the flavor for cooking and baking. Cinnamon sticks usually come from pure cinnamon trees, while powdered cinnamon products or other types of flavoring may be mixtures of cinnamon and cassia or even pure cassia. Cinnamon and cassia both enhance the flavor of baked goods and dishes about equally, although cassia's stronger taste is often recommended for dishes that are cooked longer. The choice of whether to use powdered cinnamon or cinnamon sticks to flavor a dish rests mainly on how the dish is prepared. Most beverages, from apple cider to punch, use the strong, mellow flavor of cinnamon sticks and call for sticks to be submerged in warm liquids to release the flavor. Powdered cinnamon is treated like a dry ingredient in baking and often added as a last step. Follow the recipe directions and use whichever type of cinnamon is called for or use a box grater to grate a small supply from a cinnamon stick. Today, research on the medicinal use of cinnamon yields surprising results. Cinnamon pills in research studies conducted by the United States Department of agriculture indicates that cinnamon may improve blood glucose levels in Type 2 diabetics, as well as reduce harmful triglycerides and LDL cholesterol levels. Cinnamon may be more of a precious spice than history reports if it can replace pharmaceutical drugs and help diabetics and others maintain their health.